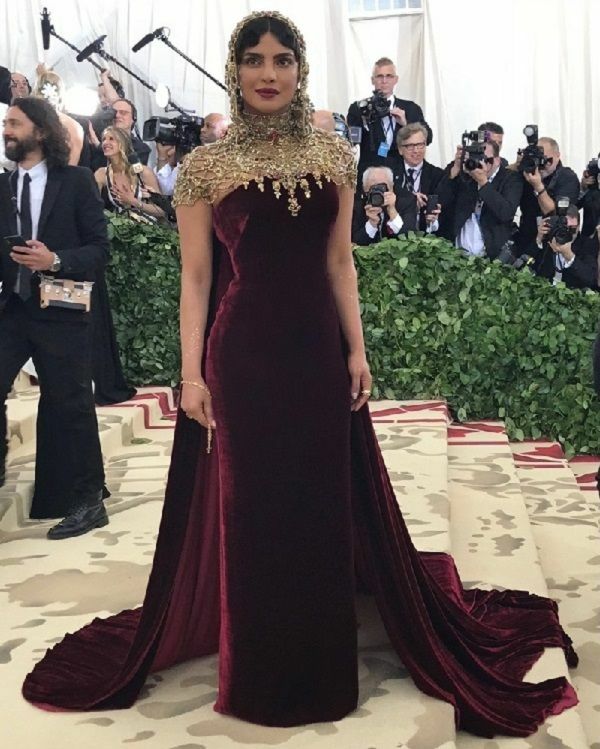 Priyanka Chopra reigned at the Met Gala in New York on Monday and gave everyone a run for their money in a burgundy velvet gown topped off with an ornate gold-embroidered hood. Her Ralph Lauren gown was a refreshing step away from the black, white, and gold littering the red carpet this year. The Quantico actor paired her strapless gown with a stunning jewelled hood — reminiscent of a medieval knight — that made for a truly unique and stunning take on the religious theme of Met Gala 2018, Heavenly Bodies: Fashion and the Catholic Imagination. 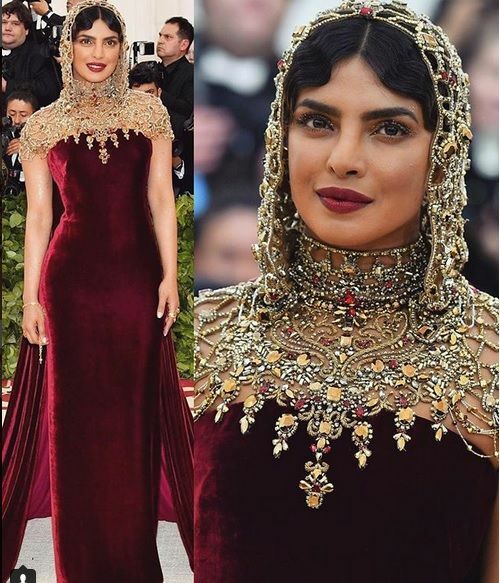 While her make-up was minimal — Priyanka paired the elegant look with striking finger waves and a deep red lip — the incredible headpiece did the talking. Jaw. Dropped. On Instagram, Ralph Lauren shared a close-up look at Priyanka’s handcrafted hood from the Met and revealed the custom piece embellished with Swarovski crystals and meticulous gold beadwork took over 250 hours to make. Are you surprised that she brought this level of drama? Come one, Priyanka is not one to do things in a demure way. The Met Gala is not just an opportunity for famous people to dress in outrageous garb: All proceeds from the event go to the Metropolitan Museum of Art’s Costume Institute, reportsthe New York Times. And if you’re wondering how much it costs to attend, it’s a whopping $30,000 a ticket. But that’s pennies compared to Priyanka’s priceless style.